Sometimes, in redesigning, companies lose sight of the end user of the site. As the designer, marketing manager and departmental heads gather in the room, it can be easy to misjudge the people who’ll actually surf the pages for information. A good practice is to make a list of the end users who will potentially use the site and browse the site from their perspective. It will give you a good measure of success. Without understanding how your current site is being used, it’s possible you can eliminate popular pages and fail to place information that’s commonly searched for in prominent places. Before going out with the old and coming in with the new, take a look at your current site’s statistics, so you know what to keep and what to get rid of. While a redesign may be in order, it’s likely that there were several successful elements in the original website. Before dismissing the old site, take an audit of those elements that are successful that you’d like to incorporate into your new site. When chasing website trends, it’s easy to get caught up on the design of the site and forget about content. Considering content is a huge task that requires the involvement of all of the departments throughout the organisation, speak to those experts in your company and get their opinion on the key points before your content writer starts putting it altogether. The website redesign runs the risk of happening in a vacuum if only the marketing manager and web designer are involved. Determine the needs of all of the departments prior to diving in and try scheduling meetings with each department to understand how their pages on the site are used internally and externally. A website redesign should take search engine optimisation (SEO) into account. What are some of the key terms your company would like to rank for? Make sure the site is built to not only be easy on the eyes but also to be easily found. Have conversations with your web designer about ways in which you can bolster your SEO. In an effort to create something beautiful, sometimes functionality is forgotten. This relates to mistake number one. While beauty is appreciated, aim for something that’s useful as well. Again, use the site as a user would and look for things that might trip them up. Don’t forget to be clear on who your company is and what it stands for. As you undergo the exercise of the redesign, maintain a firm grip on your brand voice and identity. Make sure that it’s still heard loud and clear when the dust settles on the redesign. 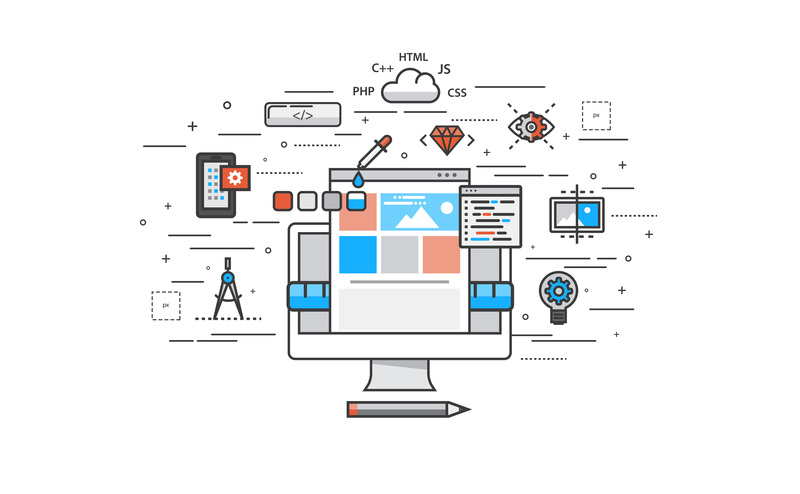 Every few years, trends in websites change due to advancing devices and user preferences. At one point, websites were encouraged to stay ‘above the fold’ on screen. Due to the increased use of tablets and smart phones, sites are now using continuous scroll. This is a direct contradiction of what web design used to advocate, so in the effort to keep up with trends, don’t lose sight of functionality. Is your website due for a refresh? To ensure you avoid these common mistakes, get SponsoredLinX to steer you in the right direction. Call us on 1300 859 600.